It’s getting hot in Toronto and everyone is looking for places to cool off! 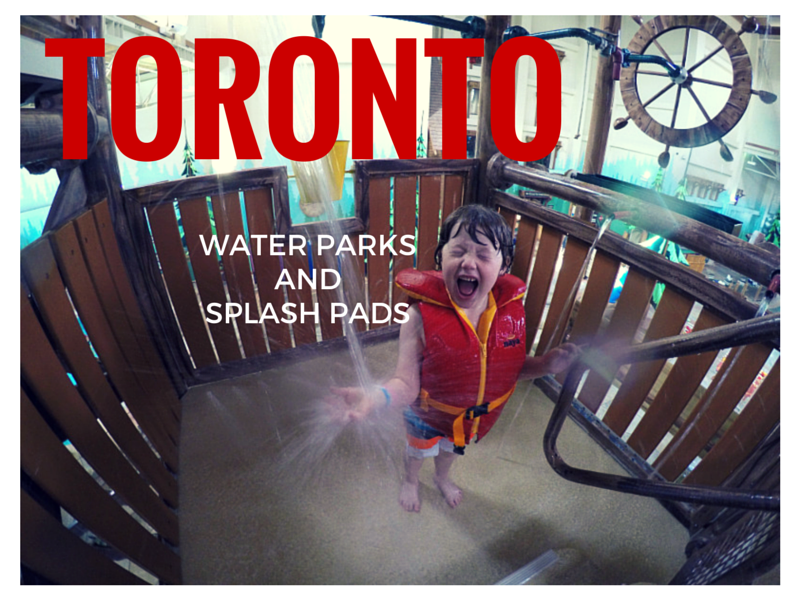 Here’s a directory of the splash pads and water parks in Toronto. The only water park in Toronto and only one actually run by the city of Toronto. Kidstown has a tipping bucket, spray rings, squirting aquatic animals, a slide, wading pool, splash pad and more. It opens from mid June until the Sunday of Labour day weekend (closed on Labour Day). 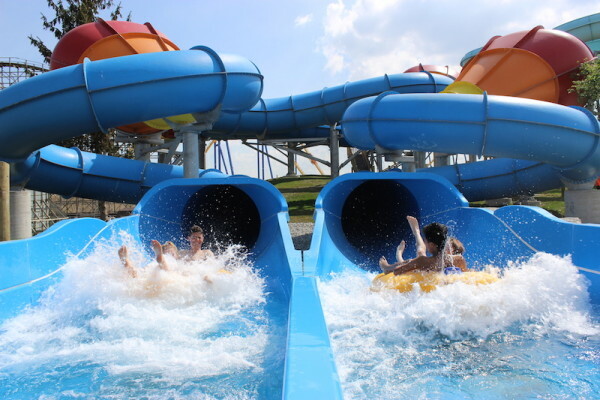 Huge outdoor water park included with theme park admission to Canada’s Wonderland. Opens May 30 on Weekends and June 13 daily until September 7th, 2015. New this year is Splash Station, a children’s interactive play zone. A smaller water park perfect if you don’t want to pay a full amusement park admission. General admission is $22.35 with children’s admission costing under $15. Look for discounts after 4PM. 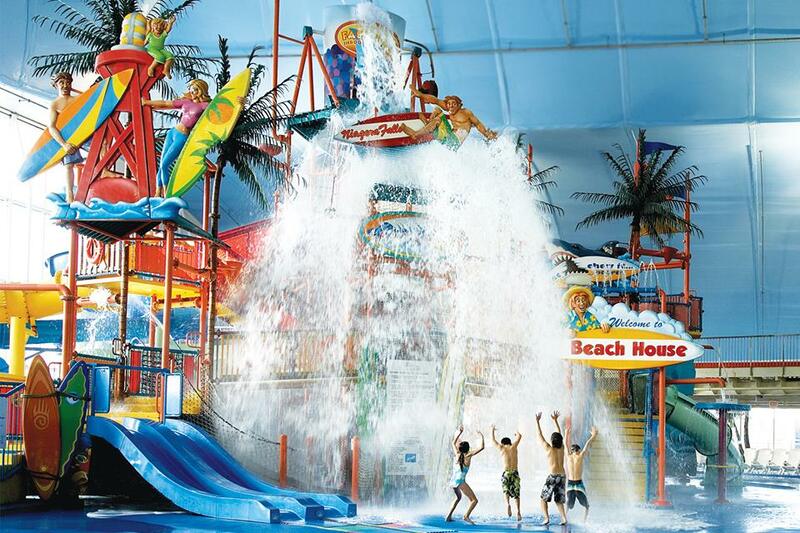 A nice indoor water park in walking distance to the actual Falls. Day passes are $44.95 and children under 2 are free. For discounted tickets, use this link to purchase tickets for only $34.95. A great indoor park. Overnight stay required. WATER PARK CLOSURES: Wild Water Kingdom in Brampton is closed for the 2015 season. Ontario Place is closed. One of the better splash pads in Toronto. Even if the zoo is packed, the splash pad is manageable with only one entrance and exit. Now open weekends. Opens daily from June 26 until September 7, 2015. Included in zoo admission cost. Toronto Splash Pads are open for the season from May 16th to September 20th, 2015. 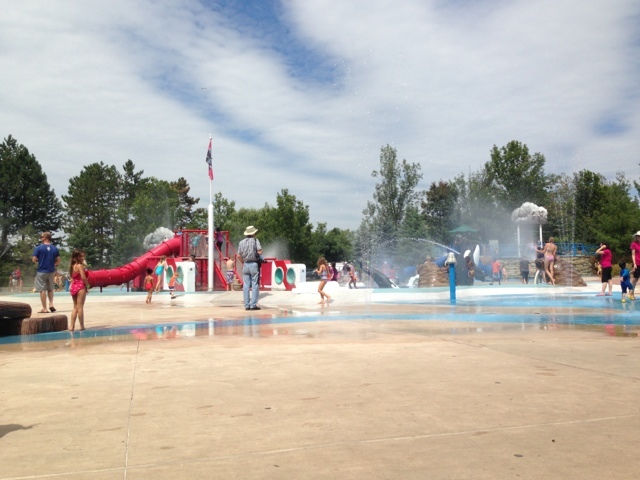 Each splash pad opens at 9 am and closes at 8:30 pm. Note that the High Park Splash Pad will not open this summer until June 26th and the Rotary Peace Park Splash Pad will not open until June 15, 2015. The entire directory of Toronto Splash Pads is available here. Currently, these 9 splash pads are closed until further notice: Amesbury Park Splash Pad; Flemingdon Park Splash Pad; Gracedale Park; Goulding CC Outdoor Pool Splash Pad; Kingsview Park Splash Pad; Lakeshore Village Park Splash Pad; Sherbourne Commons Splash Pad; Sugar Beach Park Splash Pad and Warden Hilltop Community Centre Splash Pad. 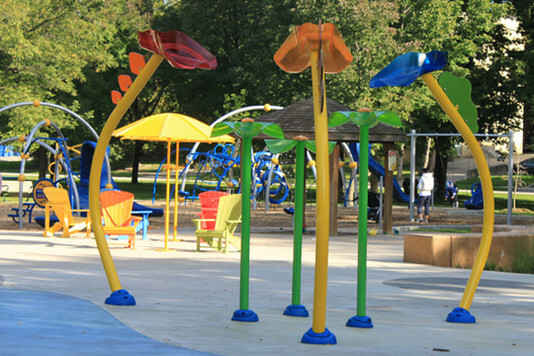 Marie Curtis Park (2 Forty Second Street, Etobicoke)- Renovated in 2013, the splash pad is beach themed with pelican and flower water features and has Muskoka Chairs for parents to sit and watch their kids. Kew Gardens and Woodbine Park (Queen Street East in the Beaches)- Both of these splash pads sit close to Lake Ontario and are part of larger parks. The Splash Pad at Kew Gardens is open now and becomes a wading pool June 26, 2015. Woodbine Park has a large frog and some fun elements to get wet near the beach. Centre Island Splash Pad (Ferry departs from Jack Layton Ferry Terminal at 9 Queens Quay W)- Centre Island has a great splash pad with lots of things to run under, over and through. The splash pad is passed Centreville and over the small white bridge then to your right when walking towards the water. 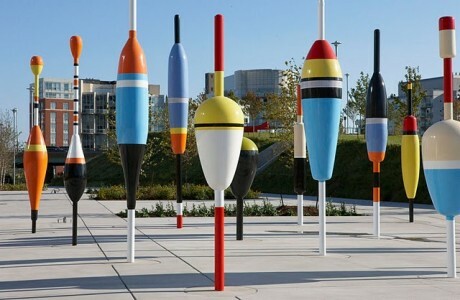 Sugar Beach and Sherbourne Common: Sadly, both of these brand new splash pads are closed until further notice. You’ve probably noticed the big red canoe from the Gardiner Expressway. This park also has a really bright and fun fishing lure splash pad where fountains rise from the concrete in Summer. 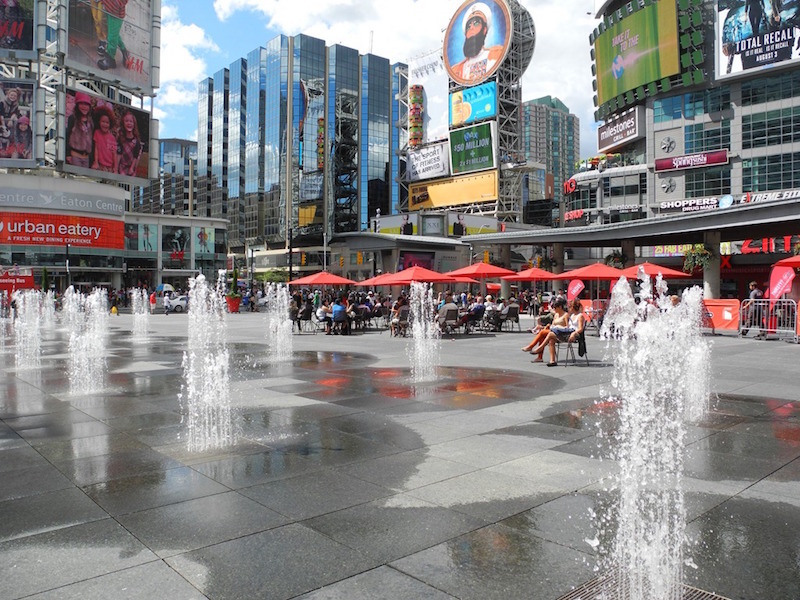 Yonge Dundas Square is the epicentre of the Yonge Downtown strip. In the summer, there is rarely a time when the square isn’t full. Kids love the splash pad which is a series of fountains that rise from the paving stones. Want More? Here’s 50 Things to Do in Toronto with Kids this Summer.